The Murder of Jane Crow is an ethereal-sounding band that mixes mystique and folksy piano to create a unique style, hard to put in any one genre. 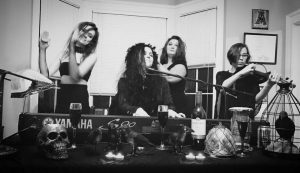 They pronounce a dark/gypsy aesthetic in their music, which contributes to a lively and fun experience. The band mixes a pop, folk, and jazz sound to create their four-woman group, formed of Jane Crow who provides lead vocals and piano; Jane Grace that contributes backing vocals, guitar, banjo and percussion; Mollie McFarland who plays the viola and provides backing vocals; and September Reed who a backing vocalist, keyboard player, and percussionist. The Murder of Jane Crow pride themselves on their gigs being performances in themselves, with their gypsy stage show vibe. They will mix with the crowd in their signature plague masks preparing for their spectacular live performance. Their dress and show are what particularly strikes you about the band. Their costumes make you feel that you stepped into a time machine and headed back a few centuries, and their circus and almost-Moulin Rouge glamour create a powerful but also Gothic nature due to their macabre make-up. 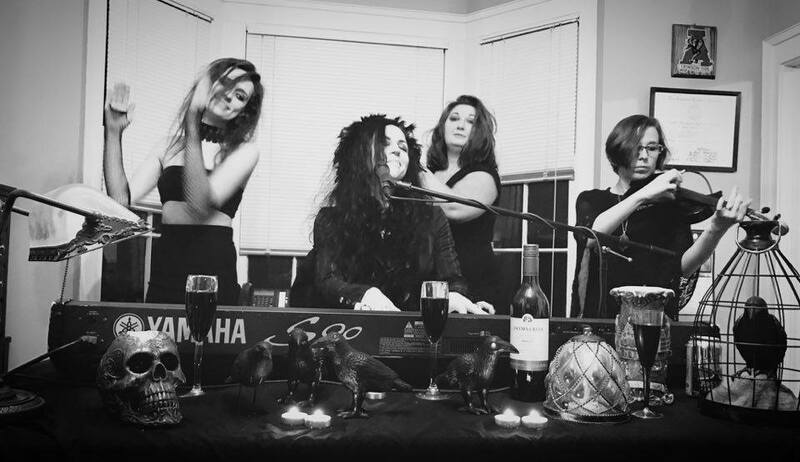 To see this band perform live is to understand the true magic they possess, as their unique sound is one thing, but to see even the music video of “My Lobotomy” is to be transformed into a world of mystique, glamour, and Gothic horror. The band’s inspiration is drawn from quite the concoction, including “romantic era art, music and literature, mythology, the supernatural, the moon, mysticism, water, beauty, horror, love, lust, pain, grief, anxiety, honesty, sadness, strength, unyielding spirit, whiskey, and laughter in abundance.” This kaleidoscope of inspiration makes sense when viewing the bands mish-mashed appearance, that although makes them appear to have been hit by a Halloween costume tornado, demonstrates their eclectic make-up. 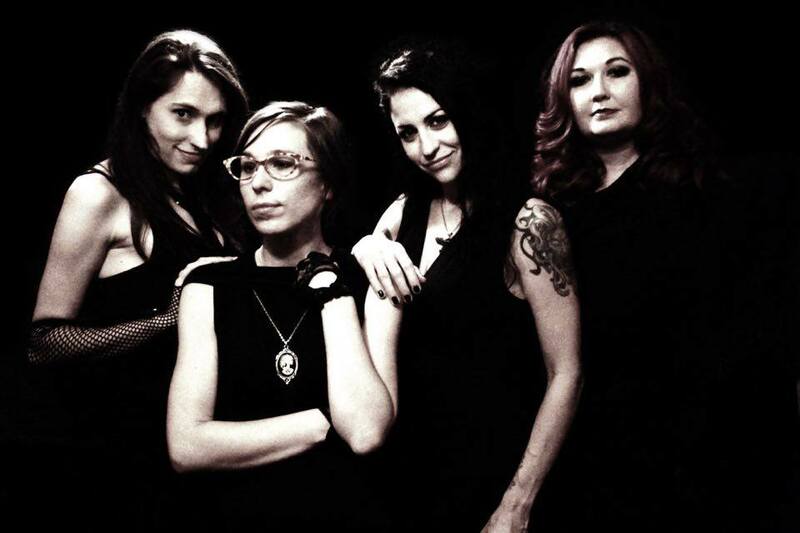 The Murder of Jane Crow are about to release a new EP and a music video. They are also beginning to play shows outside of Birmingham in surroundings cities and states as a way of sharing their music with a wider audience. For those interested to learn more about the Gothic glamour of Murder of Jane Crow, visit their website. You can also find them on Facebook and Twitter.